Genius Hour has gotten a lot of attention on Twitter, blogs, and in classes the start of this school year. With all the success stories, there will be a few who criticize, or write to provoke conversation, at the very least. 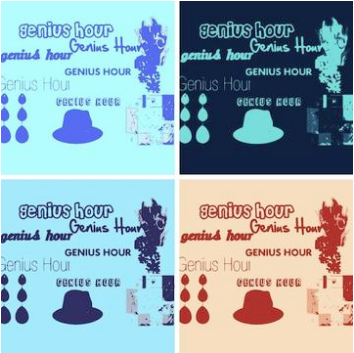 I’m writing today to defend Genius Hour, and explain how it has affected the rest of my students’ week. What I will do is tell you what’s happened in my class this year, as a result of spending FORTY minutes talking about what genius is, and what it is not. We spent time discussing the seven “habitudes” of geniuses that Angela teaches about in Classroom Habitudes. Here are some quips from my 7th graders that I’ve actually written down for a post such as this. My students are realizing what they’re skilled at, and with what skills they may need help. They have already started asking each other for help during our creative days (Dot Day being the most recent). They are relying on me less this year than any other group I’ve had, and instead going to each other. We have already started building a wonderful community of learners. I’m going to continue telling my students that they have genius in them. We all do. I have to say that I’m very fortunate to work where I do. Many teachers do not have any time to spare – to hand over to their students. Others who are allowed time for this need to make sure it ties to standards, and that students are graded on it. I have the luxury of attaching it to standards my way (see this LiveBinder and specific plans I’m using in 7th grade ELA), but I am also allowed leeway on how to use the rest of our time during the week. Here is a list of how, by implementing Genius Hour ideas in my classes, the concepts have seeped into the other 80% of our time. Students can choose where (and how) to sit, as long as it’s safe and not distracting to them or others. Students can write in response to a prompt of their choice, as long as they write in relation to our goal or focus for the day. Students decorate the room. Many put up their own ideas made at home. Students read what they choose. Students take pictures for our movie updates for parents. Students have blogs for authentic purposes – not for grades. I am no longer the “sage on the stage.” I am truly the “guide on the side” for most of our lessons. Implementing Genius Hour in my classroom has made me ask these questions (from p34 of The Passion-Driven Classroom) every day: Who is in charge of learning at our school? Who does the most work in our classroom? Who does the creating, constructing, producing, performing? The answer must be: The learners. Many teachers remain disconnected from their students. As Angela Maiers and Amy Sandvold share in The Passion-Driven Classroom, “96% of teachers reported that creativity should be promoted in the classroom. However, when asked which students they actually preferred to teach, teachers chose the students who were most compliant” (5). “Messy” learning, which is what Genius Hour is, and times when the learners are working the hardest, is difficult for me to see with my “old school” eyes. I like order. I appreciate quiet. … But the things I HEAR from students during these “messy” times are precious gems. They alert me to the fact that students are learning, and enjoying the process simultaneously. That’s what it’s about. 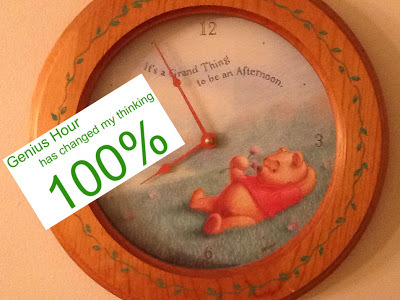 And that is how implementing Genius Hour has affected my teaching during the other 80% of the week. This has been cross-blogged from Joy Kirr‘s personal blog. Click here to read the original post. My Top 5 Reasons to do Genius Hour with Your Class! 5. Personalizing education is so important. Not all learners are the same, so why should their education be the same? Genius Hour allows students to choose their own projects, personalizing their own learning. 4. Kids need time to be creative! Check out Sir Ken Robinson’s TedTalk below. 3. Passionate people are successful people. Students need time to find their passions. I am amazed by how many of my students struggle to communicate what their passions really are. They need time to explore their wonders (and often need some guidance with this too) so that they can figure out what they love to do. 2. 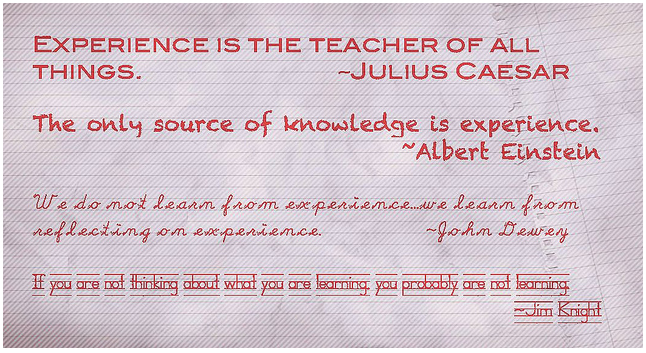 Inquiry based learning. During Genius Hour students form inquiry questions to investigate. Being able to ask questions is a key competency that we need to develop in students.